Why are you saving money? How much joy are you receiving from that “stuff” you own? You may rethink your financial plan after today’s show, because our guest is the co-author of the HUGE bestselling book, Your Money or Your Life. 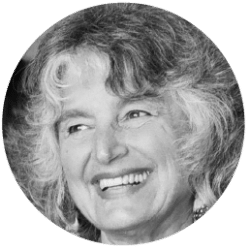 Vicki Robin helped shape the financial independence/retire early movement, and she’s on her way down to the basement today to talk to us about re-examining your beliefs around your life and your money. Your money or your life, indeed. In our headlines segment we’ll talk about student loans with Robert Farrington from The College Investor. He’ll talk about how over 3,000 people just took part in an event to pay off a TON of student loan debt. We’ll share best practices, how best to apply to lower interest rates on your debt, and how to pay them down in a way that makes sense for your situation. We’ll also discuss the new SEC proposed fiduciary rule. Is THIS finally the rule we’ve been looking for? Will it replace the mostly knocked-down rule from the Department of Labor? We’ll review the rule and discuss what you need to know about it on today’s show. Plus, we throw out the Haven Life line to Karen, who’s contributing to a brand spankin’ new health savings account. How should she best use it? We’ll share how these plans work on today’s show. We’ll also answer another listener letter, throw out Doug’s trivia question, and watch him try to juggle….one ball. Looking for the Student Loan Debt Movement? What is the highest number of balls juggled at one time? Karen wants to know the best way to use her HSA. Jason’s employer gave him TOO much money for his PTO payout, but now they’ve noticed and want it back. What’s a guy supposed to do?